zOMG - didja know!?!!? 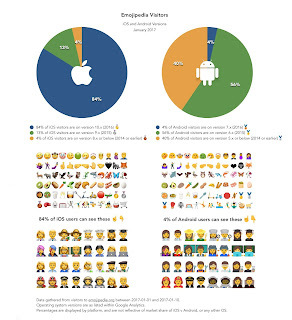 Apparently there's a ton of emojis out there, and Android users can't see them. Okay, look closely, tho'. It's the same emoji just over and over to enforce a point. And I think that's my point. The article, just really wants to highlight the bad, and it sounds horrible, but if you look at the actual info, is it really that bad? Unicode makes up new emoji all the time, and ensuring your device is updated appropriately (and it has to be put in at the system level, so most likely an OTA update) so that you can get the most recent. Without a proper update your device may not be able to text someone a karate gi, or baguettes... quel dommage! So, after reading the article, it got me wondering. How often have I used emoji... very rarely. And even when I have, it's the smiley face... I've sent a couple as jokes. Only once have I received an emoji from a friend that I didn't know what it was (it looked like something else to me than what they had sent). 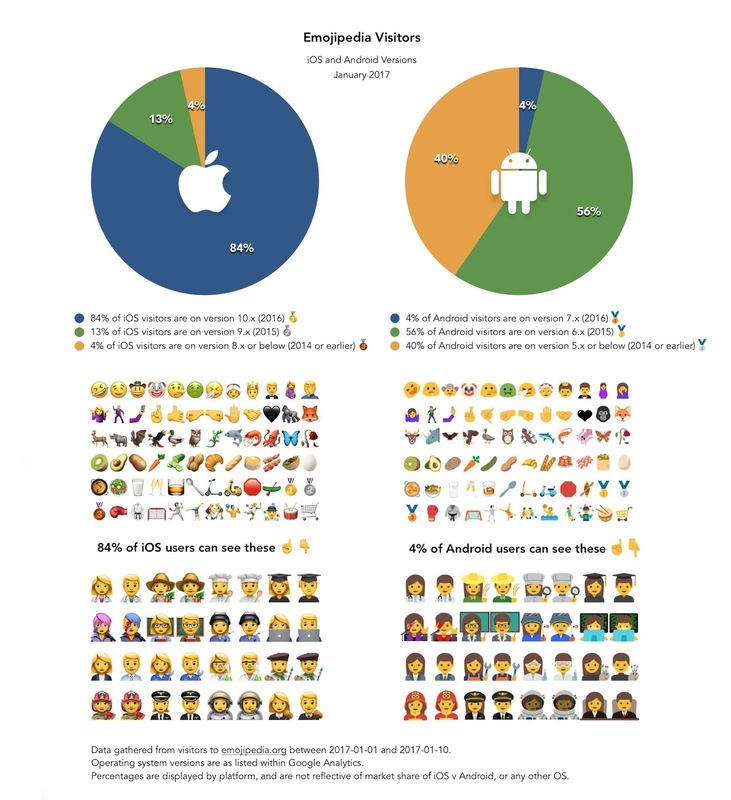 So I wanted to find out... how often do you use emoji, and are you put out by not having the most recent unicode versions? Are you 'crippled'?